Seems this latest circle art might be referencing points on our globe when overlaid. I have used the point closest to the centre of the circle to align with the pyramids of Giza, assuming the blank circle at the top of the circle art represents the arctic circle. If we do take this crop circle as being a map reference, we might assume the point I’ve marked green (a dissimilar shape to those in red) is some object above the earth, and the point I’ve marked yellow (a different shape again) as being something sub-ocean. Perhaps the arctic is linked to all these points on land, in ocean and above world? Perhaps someone else might be able to rotate the earth some other way in order for the points to make more sense? 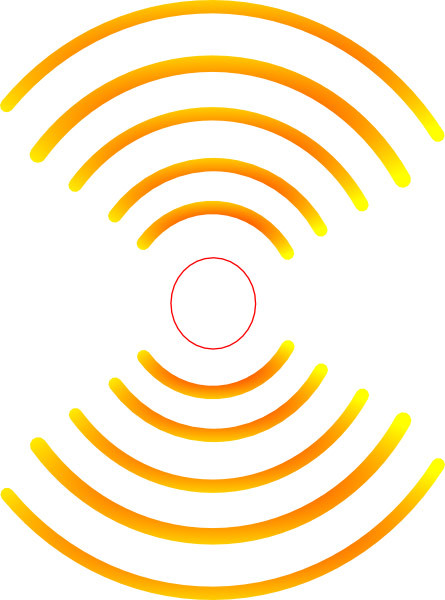 The code at the outer edge of the circle might be a dual code when the felled areas are read as Binary by reading left to right from within the circle, and the standing areas read as Morse from left to right from outside the circle. Obviously the Morse, in this way, can be deciphered a number of ways, although “UV’ might make the most sense if the code is considered to be described within the outer layer of the Earth’s protective ozone. The combined Binary (when converted to the decimal “247”) and Morse can be read as "247 UV" or possibly "24/7 Ultraviolet”. Might this allude to UV penetrating the Earth’s atmosphere constantly? 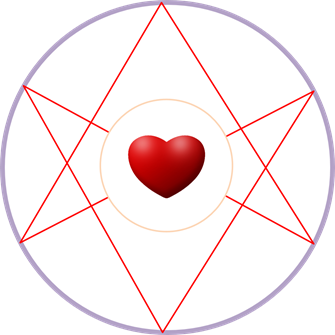 The shape within the space at the bottom of the circle might considered a jagged hole, although it is difficult to discern by looking at the pictures provided here. 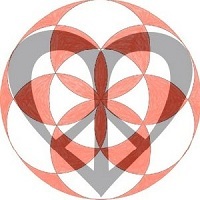 Precedent for this type of shape is found in other recent circle art. Perhaps the maker is drawing attention to a past or future event at this location near Africa/Seychelles? 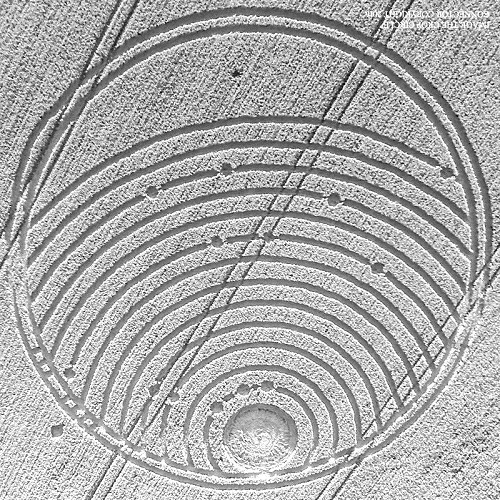 The large felled circle at the centre of the concentric rings (at top of crop circle) appears to have internal swirls that might be somewhat similar to recent circle art depicting apertures. Could this literally mean an opening to something at the north pole? 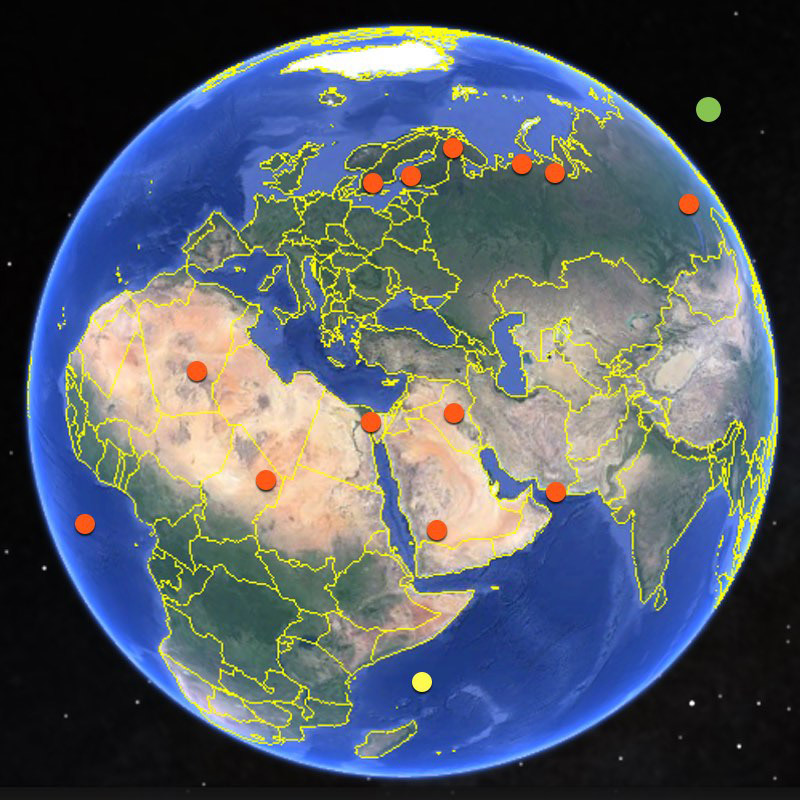 Perhaps the points (marked in red in the globe diagram) indicate locations of past or current points of interest. If my diagrammatic map hypothesis is correct, then all points of interest are weighted north of the equator, whilst the “event location” (yellow) is the sole point of interest on or south of the equator. The concentric arcs are seismic waves, or perhaps sound or water waves (tsunamis). At the top a comet impact has caused the arcs. The small circles distributed along the arcs and below are the impacts of minor fragments. The one fragment outside the Earth at top right is ready to impact, or will miss the Earth entirely. 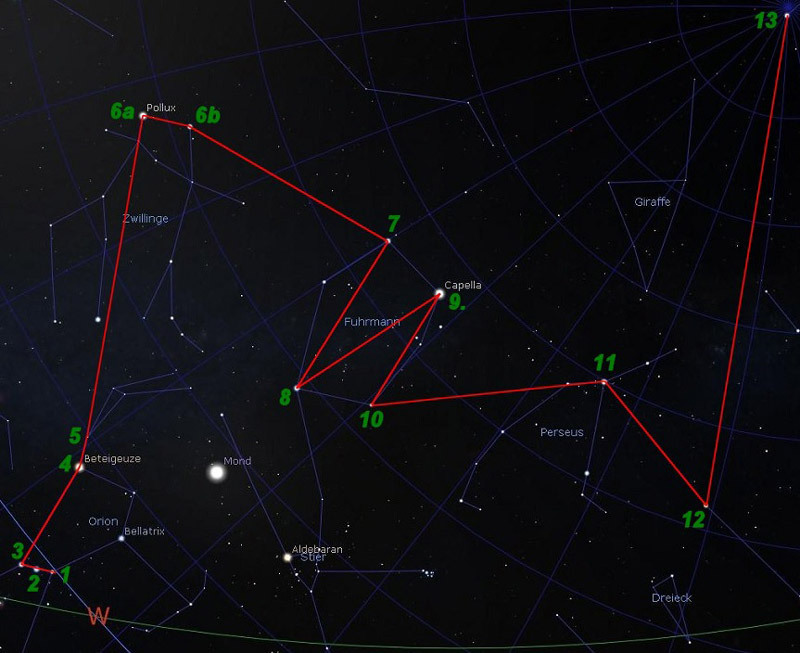 Between the two outer rings, the seven perpendicular lines suggest earthquakes caused by the comet and fragments. 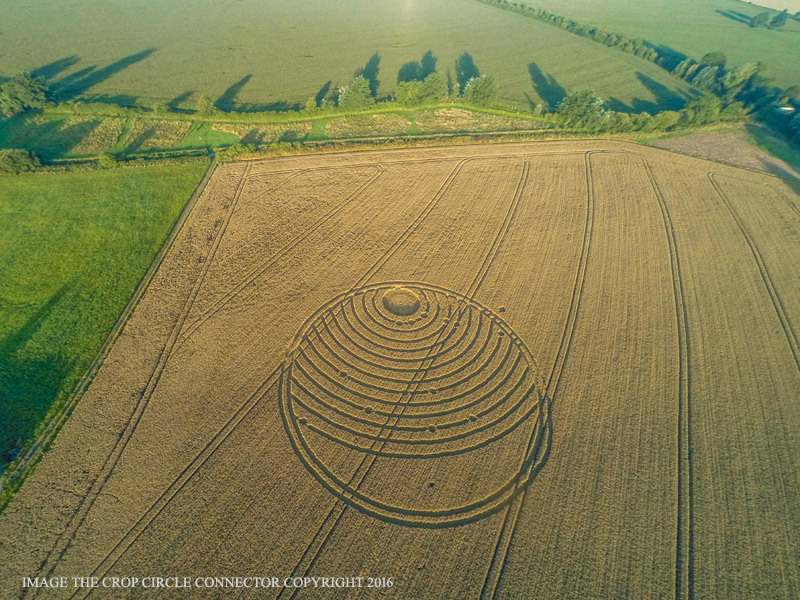 The most likely comet here is A.
Asha Kiran‎ posts us her latest slide that relates to the crop circle at Woodway Bridge, near All Cannings, Wiltshire, UK. Reported on the 24th of August, 2016. 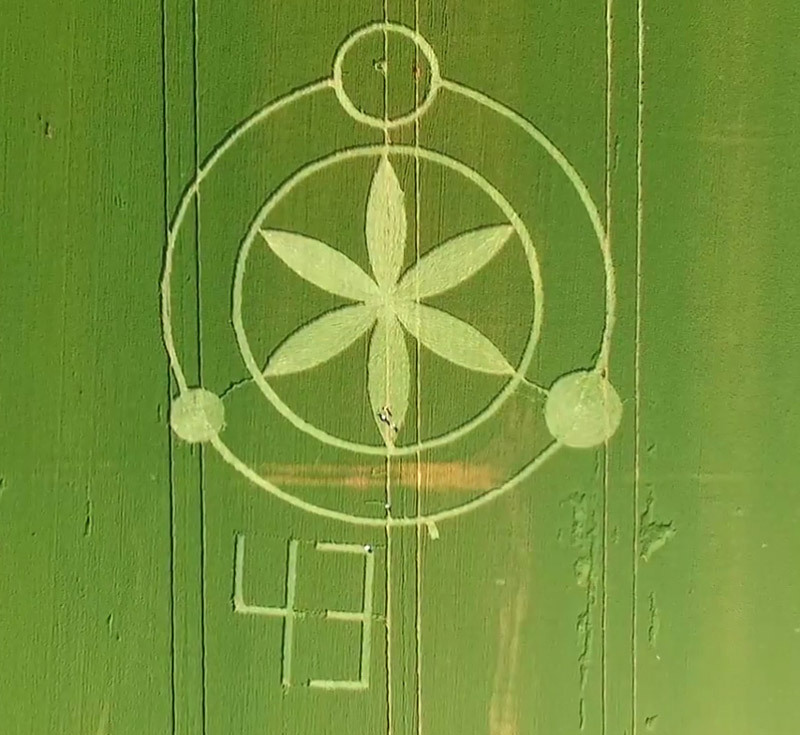 In the image of the crop circle, the degrees of the location of the 14th dot outside the circle is approx 40 to 45 degrees. To confirm what is the degree angle we can multiple pi x 13 (number of dots/waves) = 40.85. If taken as a divide sign, then we can take 40.85/14 (14th dot next to ÷) = 2.917 or could be longitude 29.17 approx. The closest point of note to Longitude 40.85 and Latitude 29.17 is Istanbul Turkey. A current hot spot for many reasons. This time I'm in totally agreement with Red Collie (Dr. Horace R. Drew). 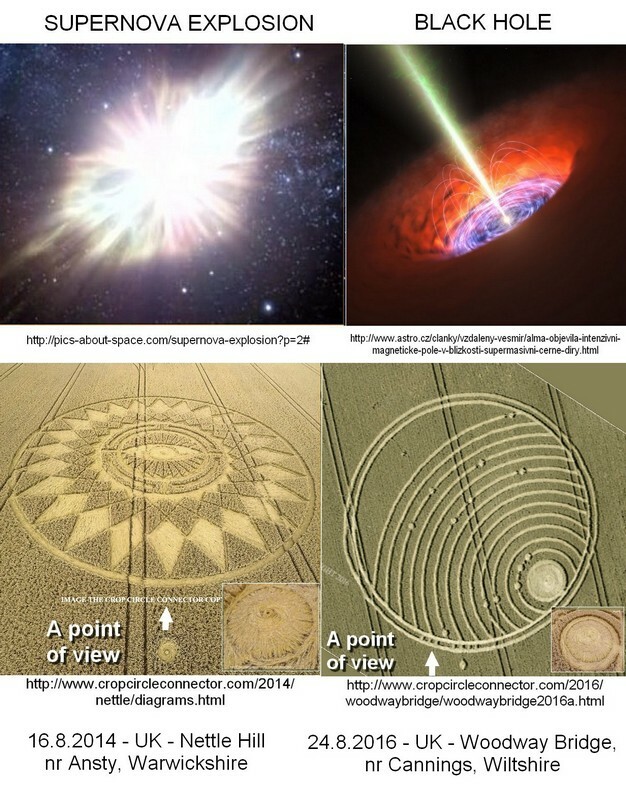 In his written article he described - as one possibility - that the crop circle shows something like the star-map, or in other words the starry night-sky, seen from Earth. That's a brilliant idea! 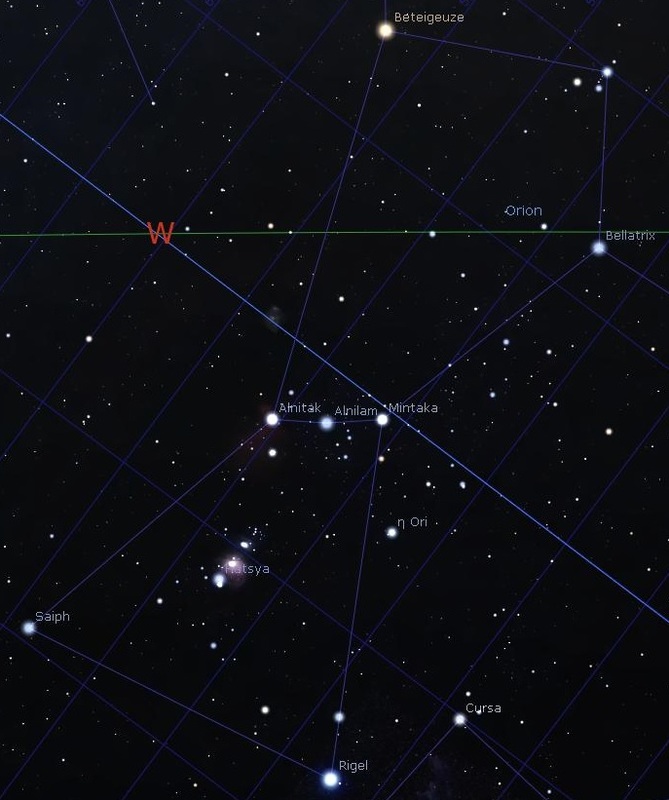 And for me it is a unique opportunity to work with the star-map and trying to find something like special 'points' - stars - which correspond (or at least come close) to the depicted dots. Not that easy task it is…… however, I have to 'play' with the star-map, zooming and turning as long as it will fit into the crop circle dots - at least in approximate value! Short note: Since several weeks and months I watch the night sky almost every night, which of course and especially include the late night ours! To have seen the planets Mars and Saturn in the southern sky and short above the horizon over a longer time. 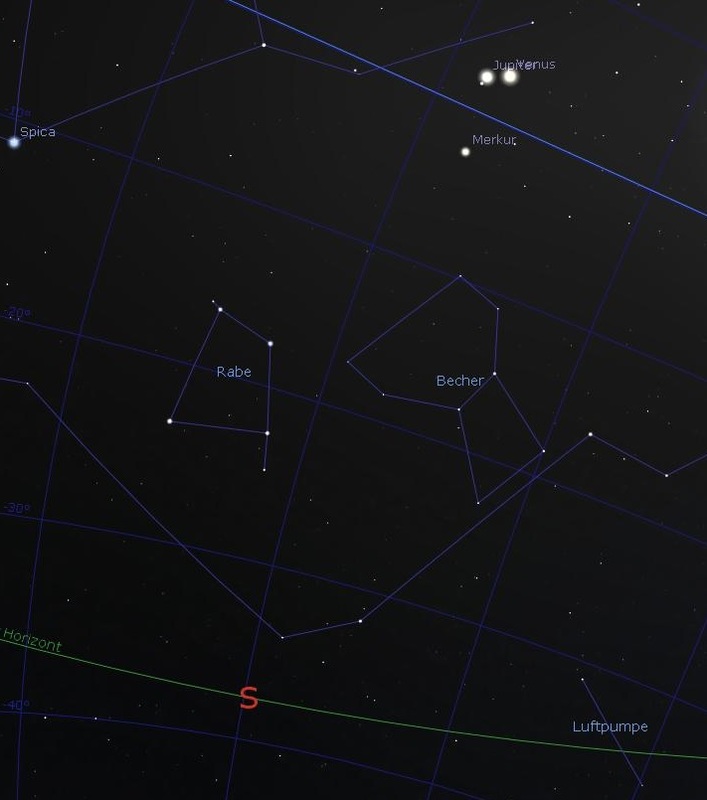 And over a long time period the planet Jupiter was been visible in the south-west sky. But for sure since that time the view of stars has changed due mother Earth' own movement and also influenced by the seasons, which is grounded in Earth so called 'precession'. It is a deviation about approx. 23.5° from the vertical centre line of Earth. Okay, with these data I can begin to work, because the crop circle shows three 'dots' on the first ring. 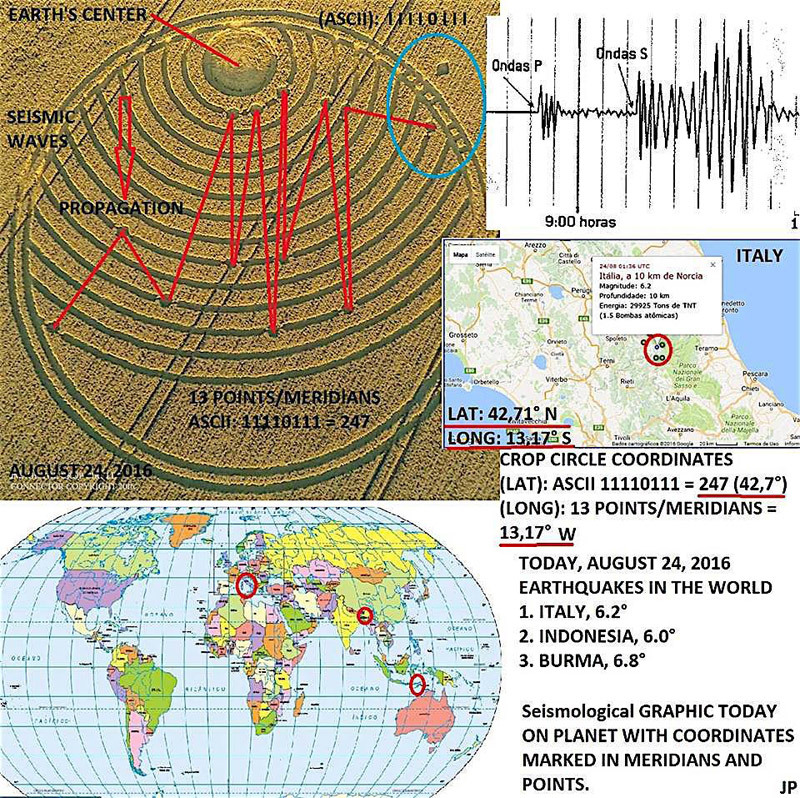 Maybe these 'rings' interpret something like our well known astronomical coordinates, with the measurement in 'degrees', probably beginning with Earth 0° equatorial pane / disk. But I see big differences in the used coordinate - system: ETs use another coordinate system and it seems that in their system the 'zero point' is just the whole planet Earth!!! So there are concentric bands around Earth in an equally distance to each other. But we must not mix up the rings 'distance' with the 'inclination' = angle of slope. So the only important measurement is in degree and not a (senseless) distance. Furthermore we could or even must 'translate' this system into our own system of degrees! And that's a very big difference to our astronomical coordinate system. Therefore you absolutely need to think in 'their' ways regarding measurement and not in ours. Notes: At the bottom of image you can read: 'Buckeburg' which is my hometown here in Germany. Screenshot taken at 15:02:30 local time, UTC + 2 hours. So these two 'candidates' with three planets each - are useless. But - and I repeat - But there are three stars (and not planets) in a LINE !!! And you know them as the famous three 'belt stars' inside the star image ORION!!! They are named (from left to right): Alnitak, Alnilam and Mintaka. So finally I have a base to work with! With this basic information in hands, my unbelievable hard and tricky work begins…. 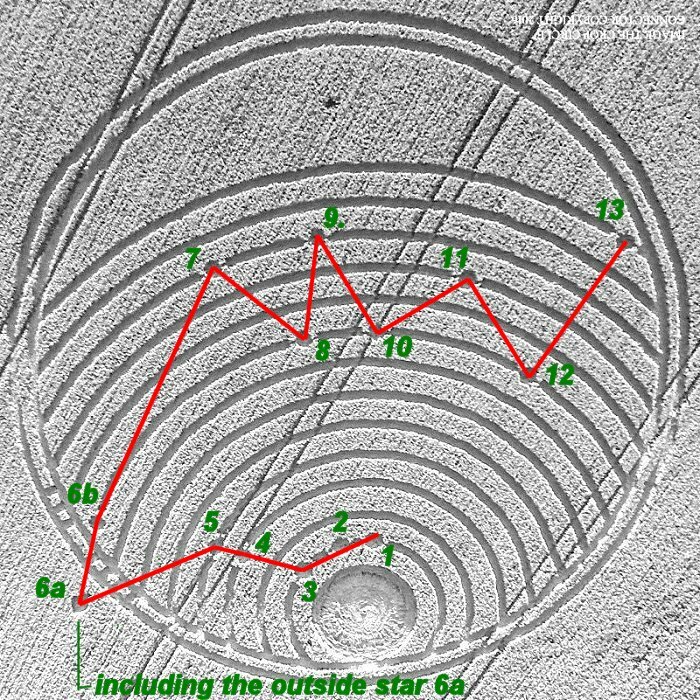 How can I achieve it to draw the 'lines' into the real sky image so that they meet the dots on the concentric rings depicted in the crop circle??? It is important to hold in mind that 'their' coordinate system cannot be 'translated' on-to-one into our coordinate system, unimportant which system we use: ecliptic, galactic, azimuth. Even the equatorial coordinate system, which I use here in all my screenshots, cannot be used directly as one-to-one, but in my opinion it gives the best result - and the best view when comparing with the special ET coordinate system. Note: The 'coordinate rings' inside my star program are in a gap of 10° to each other. This means that the equator line is by 0° (zero) angle of slope and the polar star is 90° upwards from the equator. Another problem is the graphical restriction of pixels in width and height inside a web page, in other words: the max pixels of an image in width and height - without downsizing the image. What you can see is the same what I can see. And what do we see? Ask me an easier question, please. Honestly spoken I have no single idea why CC-makers have sent such a strange crop circle. As you can see I've tried my best to present an extraterrestrial and strange image in a somewhat reproducible 'meaning' - but sorry - I do not see the meaning. I even don't see any rational explanation at all…….. Played the CC-makers just around with us? Or, maybe I have 'translated' the whole image wrong or translated it in wrong way? And what is your opinion? 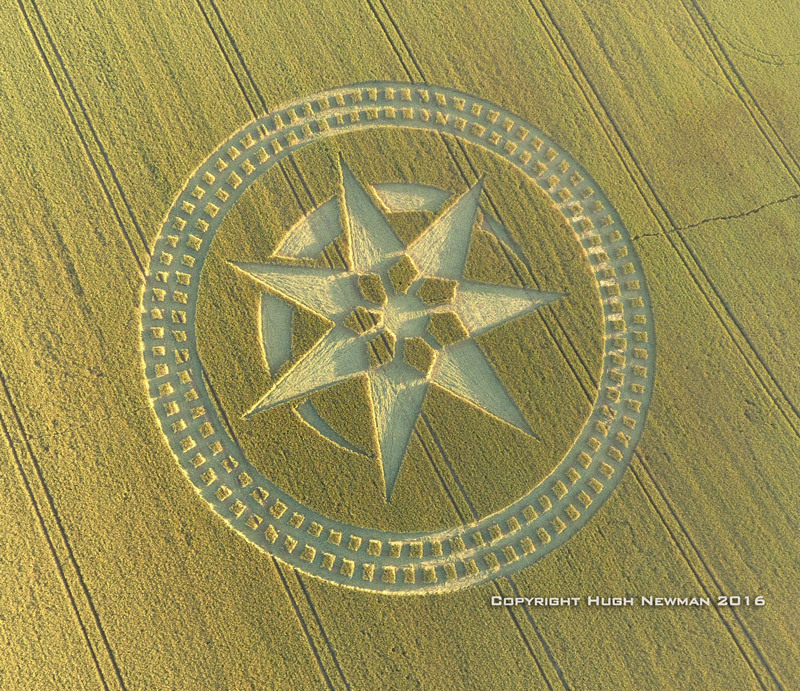 This crop circle is from the Elohim Alliances. They use as a code the numbers seven and five - and here we have a 7 and a 14 there are 13 celestial bodies orbiting our sun as followers of our sun in a vortex system on the date represented here - which I do not have a celestial calendar to calculate, but others you know do with a 14th outside the system. It could be something about the end of transmission, come back to space. May be related with the end of this year crop circle season. This CC is a representation of the phenomena itself. 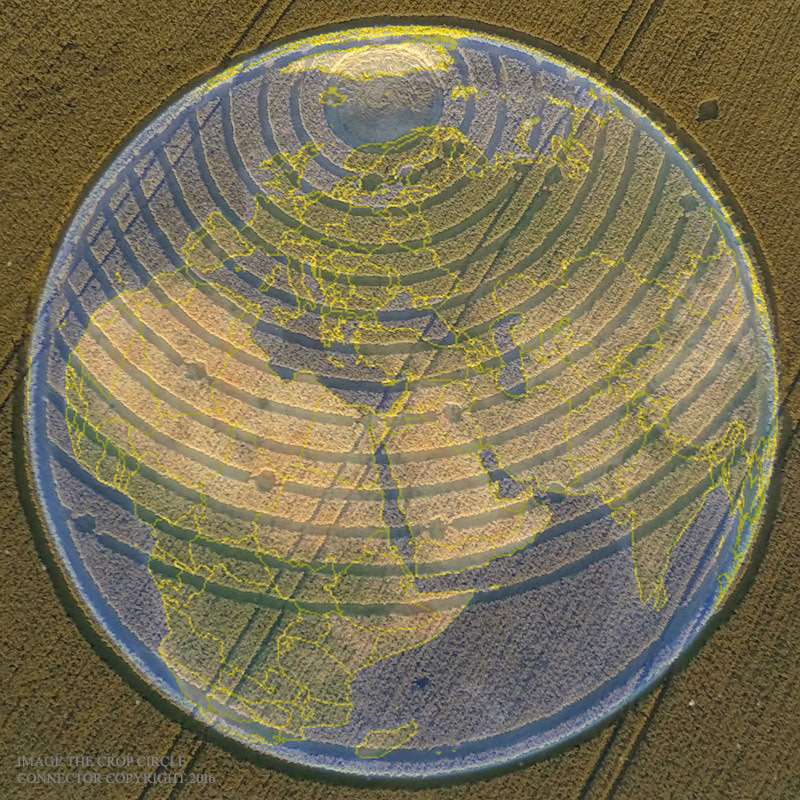 The disc is a crop circle that spreads over the surface of the planet information in form of waves that are received in some points by people, groups represented by the dots. Some not reached yet. - As Morse-code; although there are several ways of decoding, it likely refers to (dot = short, dash = long): . . . – . . These are the letters VI, a shortage for VICTORY. Several crop circles in the past show these letters (or the letter V), for example the shooting target at Burderop Down, which appeared on July 20 this year also showed the letters VI. To find the meaning it is also important to note that the earth shows the latitude of 13 lines, the earth also contains 13 dots (plus a 14th dot outside the earth at the symbols on the edge) and the number 247 = 19 × 13. The following explains the meaning of both possibilities. There is a very convincing connection with the combined reference of 247 and 13, namely the epoch of the Hebrew calendar, which is September 7, -3760, proleptic Gregorian calendar (October 7, proleptic Julian). 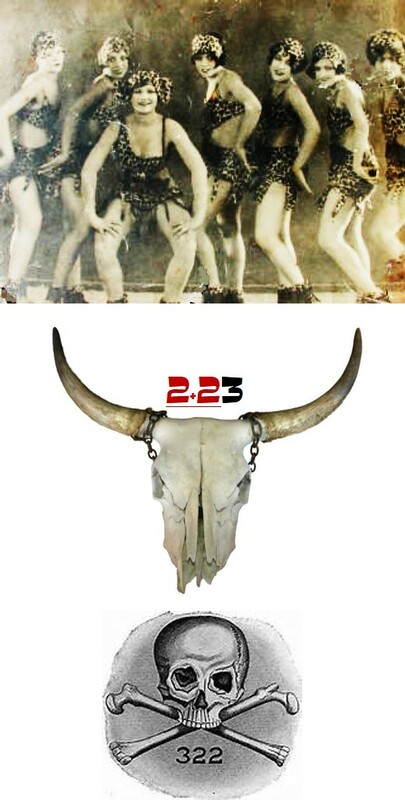 The time span from September 7, -3760 until the date of the formation corresponds with exactly 73 × 13 × 247 “Mayan weeks” (which is 9 days instead of 7 days). The possibility that this is just coincidence is negligible. Note that 73 days is a fifth of a year. Hence, we can conclude that the numbers 13 and 247 refers to the creation of the epoch of the present day world 5776 years ago, which in my opinion is the start of the fall of man (thus not to be confused with the creation of the universe and the earth). There is a second reference, namely to the independency of Burma from the United Kingdom, on January 4, 1948. This happened exactly 29 × 247 half weeks (25070.5 days) ago, counting from the earthquake that happened in Burma on August 24 (about 5:05 PM local time). It may be strange to count with half weeks, but note that we find a reference to half weeks (3.5 days) in the Bible. The 13 symbolic hotspots on the earth have been “programmed” already 5776 years ago (or even earlier in the divine order) and relate to the end of the present day age. They represent earthquakes and possibly other events that are necessary to end the fall of man. At the same time this means the victory over dark forces. The anthem of Burma is “Kaba Ma Kyei”, which means something like “until the world ends up shattering”. The Woodway Bridge symbolizes a crossing over. I refer to the comments of Mr. Red Collie, who pointed to the same central spiral in crop circles Nettle Hill 2014 Woodway Bridge 2016. These two formations have a circular design and both have one small point outside the formation. I believe that this tiny dot is an important key to the solution. These are the habitats observer. Formation left perhaps showing some explosion (supernova?) And the right formation and the subsequent creation of black holes. I do not want to speculate why this information was inserted into the corn field. Maybe it has to do with research at the Large Hadron Collider - LHC in Switzerland. 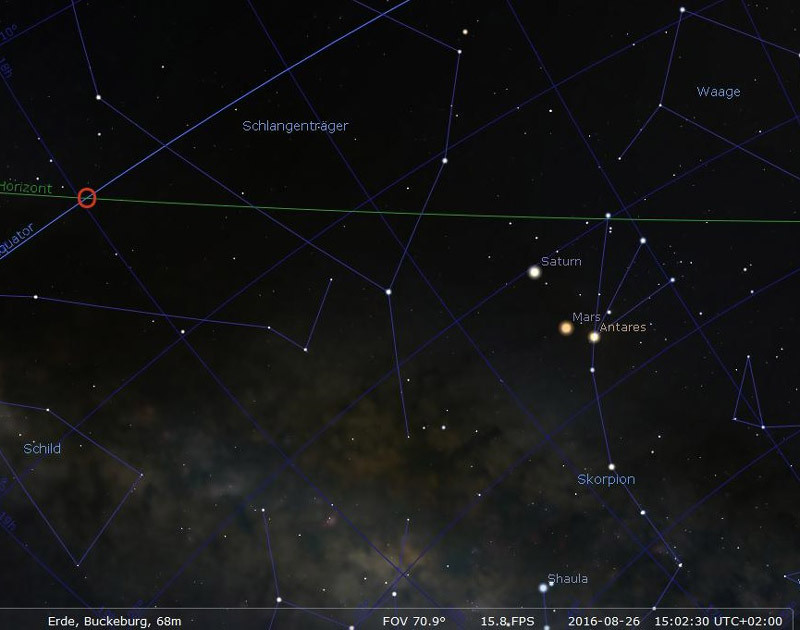 The CC reported July 8th, 2016 also shows the same star and the home planet of the circle makers when the observer is with the dancing girls above, and hence the seven spokes. Illustration of a crescent-shaped figure in a CC does not necessarily indicate our moon or the planet Venus, but any exoplanet passing before its star. The following is an artistic illustration of the planet: Proxima Centauri B, which is allegedly “recently” discovered by NASA. The light from its star reflected by the planet, gives a crescent shape. Thus the CC from Stonehenge shows a solar eclipse in their planetary system. which illustrates the main sun in the form of “The Flower of Life”, a huge planet with its moon and two separate celestial objects, which are probably two more suns in the same orbit with the planet. In this case, the system above depicts a ternary solar system. The CC from Brazil explains the location of the sun and the top orbit of the planetary map given in CC at the Woodway Bridge, 12 more orbits of the same system remain to be unresolved. “The Flower of Life” is the “Flower of Life” and the planet is the home planet of Anunnaki, i.e., the creators of mankind. 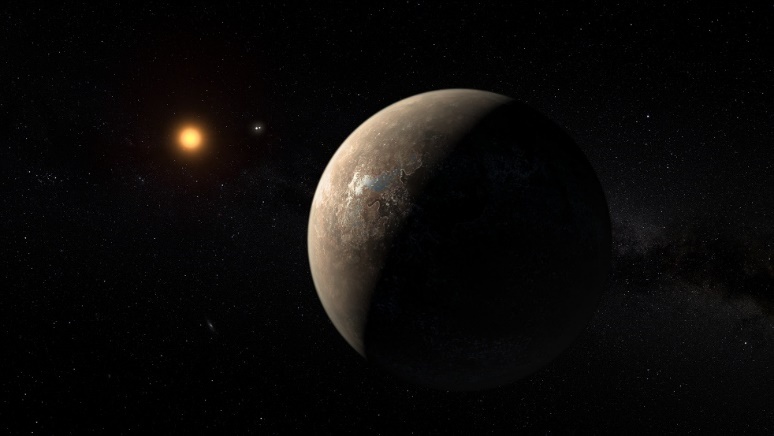 The planet may not necessarily be the planet Nibiru, but it might be. The name Anunnaki is superficial as they used a different name in each and every geological location on the Earth through the ages, just to create chaos.